Befitting tribute to Guru Nanak Dev, he has put his entire body and soul to commemorate the 550th year! You may run a kilometre or two at the most without getting your breath disturbed. Running seventy odd kilometres a day for 8 to 10 hours daily is not possible for a normal being. It is all the more difficult if you have to run this long daily for 5.5 months for 12,000 kilometres! It is an extraordinary feat indeed. But this feat is being performed by Dharmendra Kumar of Bangalore and he is performing this feat for no other purpose than to spread the message of Guru Nanak 'Work hard; pray to God and share your earning' and the message of 'feeding the millions hungry!' to the masses. He is doing this to commemorate Guru Nanak's 550th birthday! Doing for What a noble cause! Only the blessed ones can do this; only those who are determined and practised it for a long time and moulded their body so that it can perform such a feat. He has been rehearsing for this for months. Dharmendra Kumar started performing this feat from Sultanpur Lodhi on 17th March 2019. 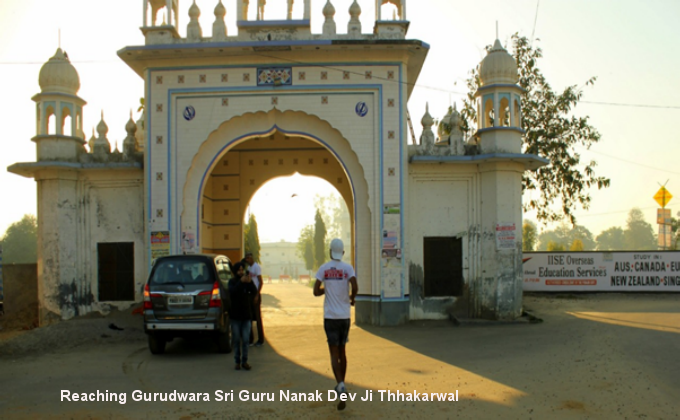 He will cover the first and second travels of Guru Nanak with in India running over 12,000 kilometres or even more. He aims to complete it on 30 August 2019. 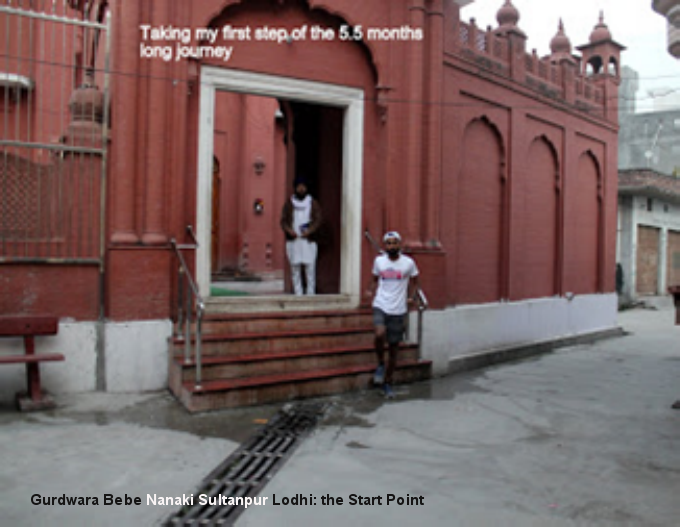 He started his feat from Sultanpur Lodhi Gurdwara Bebe Nanaki on 17th March. 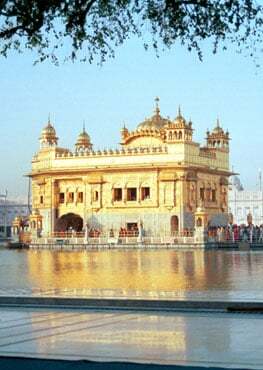 I have been following him doing this feat from the first day reaching Gurudwara Pehli Patshahi Nakodar and than to Nurmahal Puadhra/Talwan reaching Ludhiana same evening. 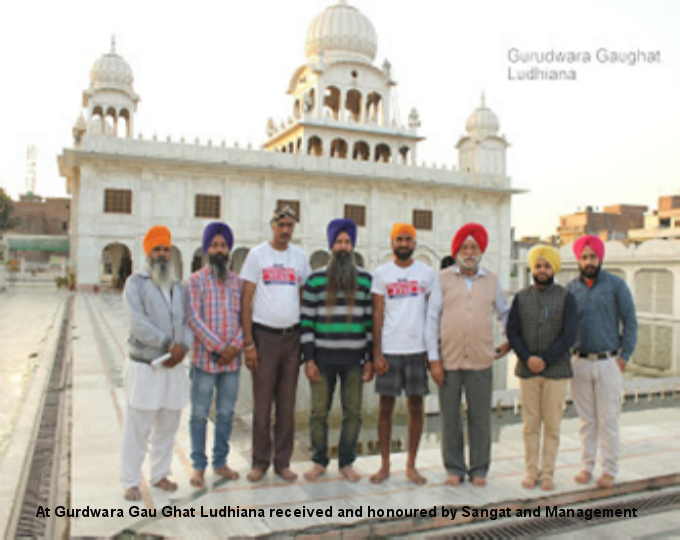 At Gurdwara Gau Ghat Ludhiana he was received well by the Sangat and the management. 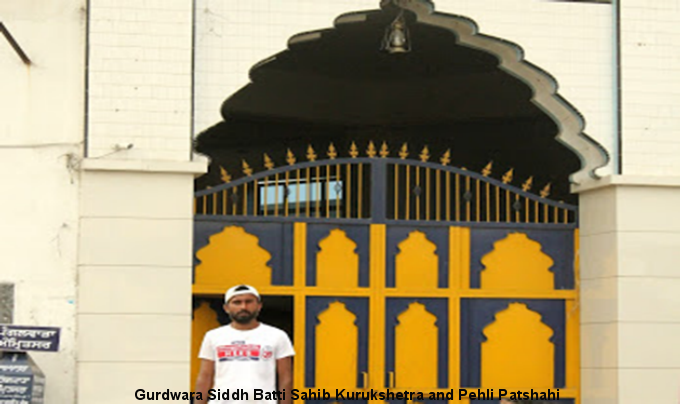 On 18th he started from Ludhiana and covered Thakkarwal and Jagerha and reached Sangrur Gurdwara Nankiana Sahib same evening. He started on 19th from Sangrur and reached Kamalpur (Patiala) by evening. 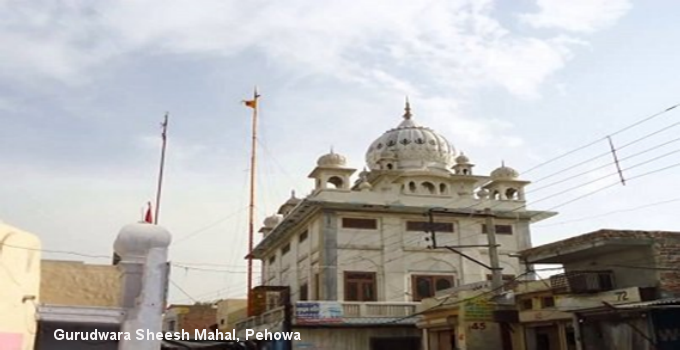 From Pehowa he started on 21st Morning and paying obeisance at Thanesar-Kurukshetra Gurdwara Sidh Batti and Gurdwara Pehli Patshahi he reached Karnal Manji Sahib. 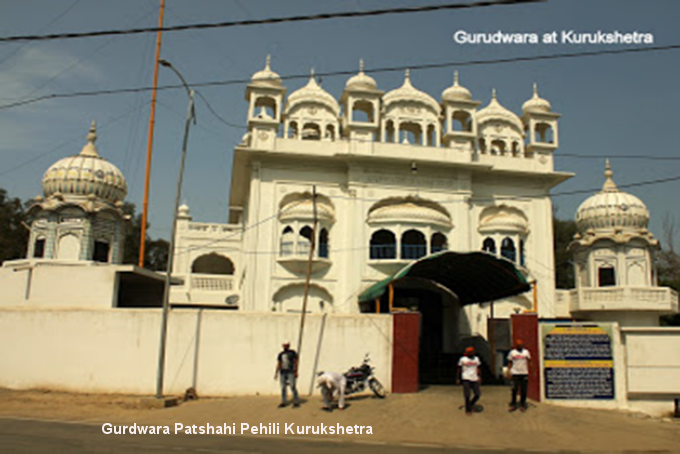 From Karnal he reached Panipat on 22nd and reached Delhi Gurdwara Majnu Ka Tilla and visited Gurdwara Guru Nanak Piao as well. As I watched him running he appeared to be calm, cool, collected, clear, sober, resilient, dedicated and determined. He covered 70 to 75 Kilometres daily running the entire distance. Sikh He did not feel extremely tired as a normal being would have been. He felt relaxed in fact. Sangat received him with great applause and honoured and encouraged him wholeheartedly. He is funded by no one; he is patronised by no one; he is doing it all alone except the friends who join and assist him sometimes. A taxi is hired to help his administration. 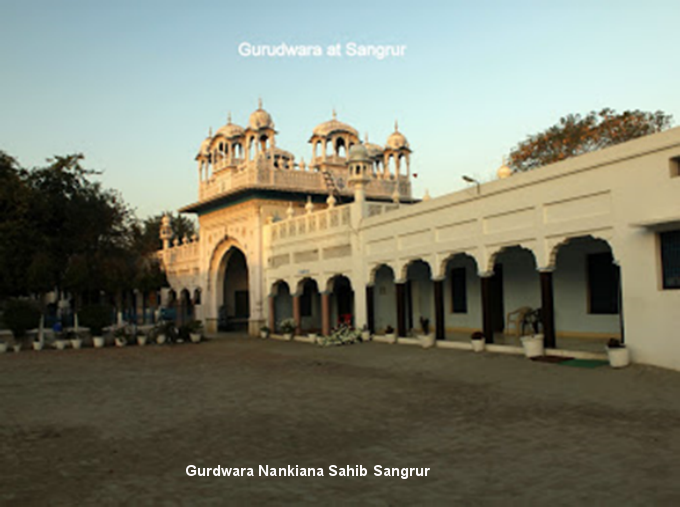 Maps and distances which I worked for him meticulously help him reaching the places connected with Guru Nanak. Can there be a more befitting tribute to Guru Nanak Dev Ji, I wonder! He has put his entire body and soul to commemorate the 550th year! I bow to him with gratitude. A non-Sikh performing this all is very much astonishing. When he contacted me three months ago with this proposal I took it as a joke. But when he depicted his resolve, visited me and showed me his plans, I was shell shocked. "How can you do such a long run and that too for months?" I questioned. "I am quite accustomed at it. I have been practising running up to 100 kilometres a day for months now", his reply was well balanced; well measured. I was convinced. "But it requires lot of funding. Who will help you with this?" I had the worldly wise enquiry. 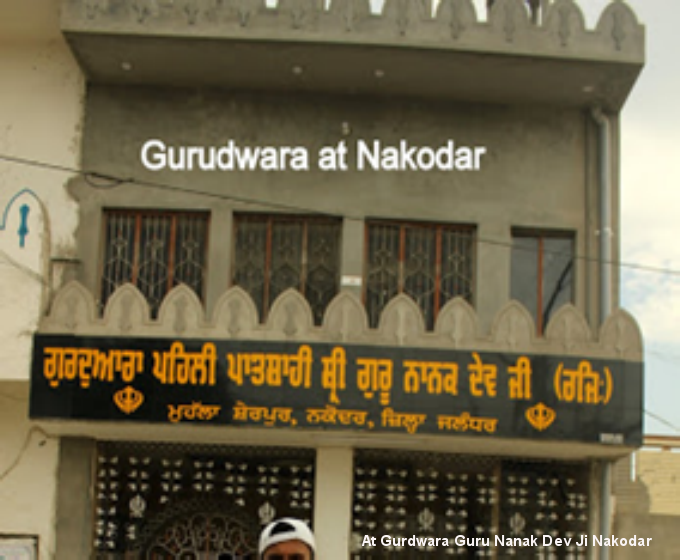 "Who funded Guru Nanak? He did not have a pie with him. Still, he travelled the entire world. If he can do for himself he will do this for me as well." He said remaining cool. "Where did you get this idea?" I enquired further. "When young I was at Patna. I heard to Guru's hymns and was tuned to it. Bihar Chief Minister Nitish Kumar inspired me further when he arranged Guru Gobind Singh's birth anniversary at Patna elegantly," he explained. "We should give this news to the papers so that people help you out," I suggested. "No need of this. Baba Nanak is with me. Everything will be alright," he was confident. "What faith in Guru Nanak!" I could not resist him further. I worked hard to dig out the entire evidence from my books, contacting people and preparing maps with distance and time charts for him. He reached in time to collect the evidence and started the event without any advertisement. 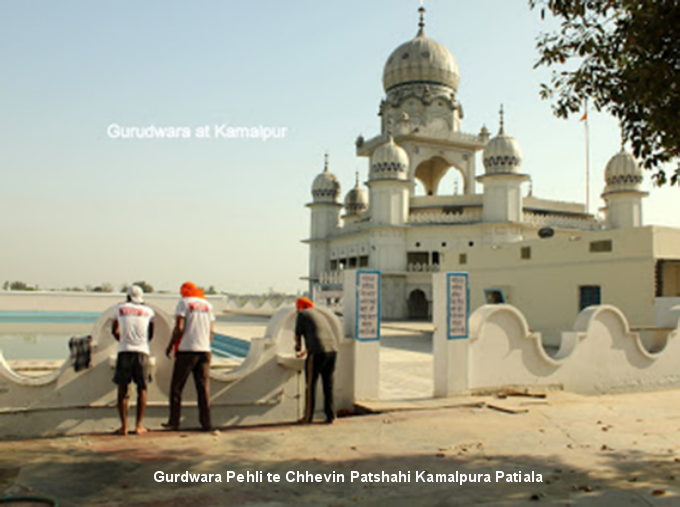 Initially, it was planned that he covers the first itinerary but later he insisted on covering the second itinerary as well so that Guru's message reached entire India. 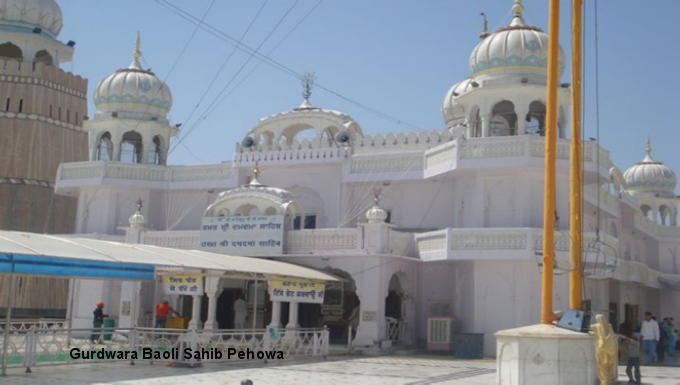 It was planned that he will start from Bebe Nanaki's residence at Sultanpur Lodhi wherefrom the Guru actually started his first itinerary. 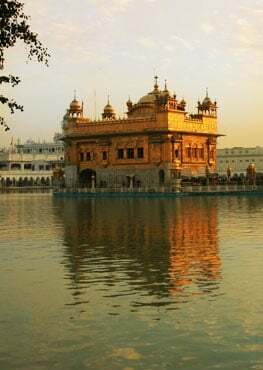 He will go to all the places visited by Guru Nanak in the first and second itinerary within India. 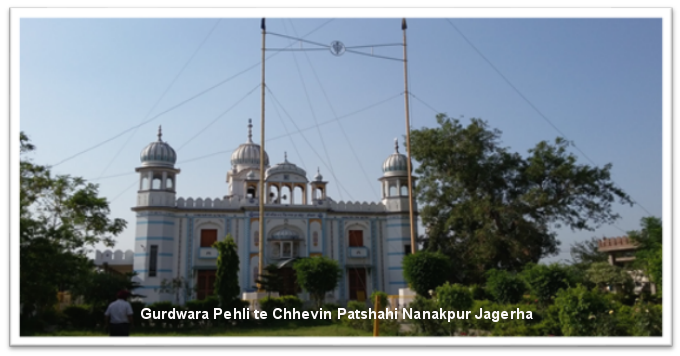 Passing through Nakodar, Nurmahal, Talwan, Ludhiana, Thhakarwal, Jageda, Sangrur, Kamalpur (Patiala) he was to enter Haryana visiting Pehowa, Kurukshetra, Karnal and Panipat before reaching Delhi. From Delhi plan is to reach Brindavan, Mathura, Agra, Etawah, Kanpur, Allahabad, Benaras, Nizamabad, Chaderauli, Gaya, Rajgir, Patna, Mongher and Malda. He will go to Dhubri, Guwahati, Shillong, Goalpara, Nazira (Dibrugarh) and through Sahibganj, Rajmahal, Nalhatti, reach Calcutta. therefrom will run to Chanderkona and enter Orissa going to Jamshedpur, Balasore, Bhadrak, Jajpur reaching Cuttack and Puri. He will next enter Madhya Pradesh reaching Amarkantak, Suhagpur, Jabalpur, Maihar, Chitrakoot, Chanderi, Shivpuri, Jhansi, Gwalior, Dholpur, Bharatpur, Behror (Rajasthan), Rewari, Gurgaon,Jhajjar, Beri, Narnaul, Jind, Sunam, Takhtupura, Patto, Daudhar, Jagraon, Nakodar reaching back at Sultanpur Lodhi completing his run on Guru Nanak's footprints in First itinerary. His next run will be on the footprints of second itinerary of Guru Nanak from Sultanur Lodhi, going to Dharamkot, Matte di Sarai, Lakhi Jangal, Bathinda, Abohar, Sirsa and Hissar and enter Rajasthan at Suhawa reaching Bikaner; going to Kolayat, Pokhran, Jaisalmer, Jodhpur, Pushkar, Ajmer, Nasirabad, Deogarh, Nathdwara, Udaipur, Mount Abu, Dhuan, Chitorgarh, Dungarpur, Banswara and enter Madhya Pradesh again reaching Jaora, Mehdipur, Ujjain, Dhar, Betma Sahib, Indore, Bhopal, Hoshangabad, Onkareshwar, Burhanpur, Ramtek, Nagpur, Wardha, Yavatmal, Chandrapur, Nanded, Nirmal, Medak, Wazirabad, Adilabad, Nizamabad. Bidar, Hyderabad, Vijaywada, Guntur, Pamela (Palampur, Pangalpur), Hospet, Mangalgiri, Guntakal, Caddapah, Tirupati, Chitoor, Vellore, Chennai, Mylapur, Chingleput, Shiva Kanchi, Chandi Chandol, Arunachal Parbat, Kanchipuram, Tripartikurram, Trivanmallai, Pondicherry, Trichanapally, Srirangam, Tanjor (Thnjavur), Jaffapatnam, Nagaptinam, Madurai, Kodikulum (Kodikotai), Ramanadpuram, Drabh Shain, Devi Pattan, Rameshawaram, Tuticorn port, Cape Comorin (Kanya Kumari), Trivandrum, Palaymkotai: Tilganji Sahib (near Palipuram-Kotayam), Quillon, Alleppy, Ernakulum, Trichoor, Palghat, Coimbtore, Nilgiri Hills, Kozikode, Mysore, Rangaptnam, Somnathpur, Bangalore, Annagudi, Daywad, Balahi, Mehboobnagar, Karnool, Hampi, Pandharpur, Barsi, Poona, Ambarnath, Mumbai, Trimbkeshwar, Nashik, Valsad, Surat, Bharuch, Vadodra, Anand, Ahmedabad, Surendarnagar, Junagarh, Porbunder, Somnath, Dwarka, Morbi, Lakhpat and return to Punjab and reach Sultnpur Lodhi. Let us pray for his good health, maintenance of momentum, strong courage and determination. I am sure that the entire Sikh Sangat will give him required assistance in terms of accommodation, meals and even funds which he needs for his journey especially for the administration of three members' team and the hired car. Dr. Grewal has written 28 books in English and Punjabi along with thousands of articles.